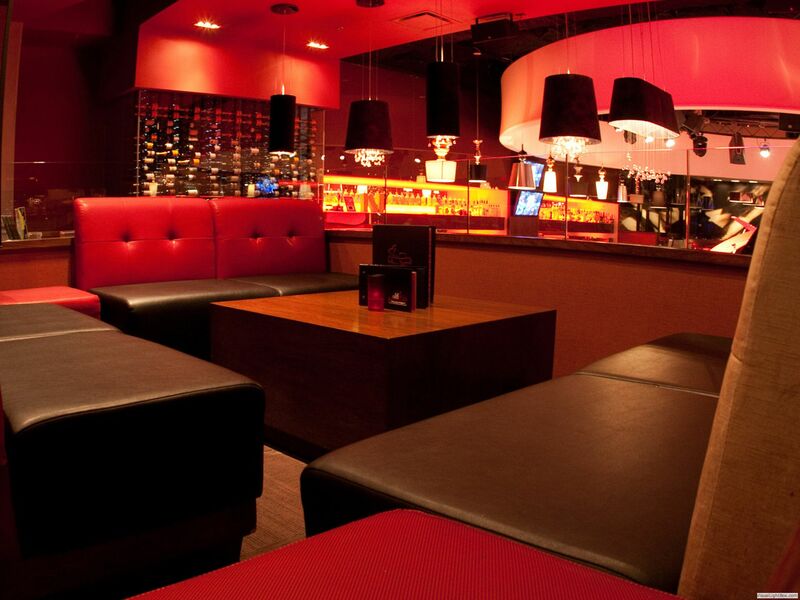 Reservations: Required for Fridays and Saturdays. Suggested for Weds and Thurs. Parking: Mall parking lot. Park near Entrance 6. Edmonton has been described as the Texas of Canada, which conjures up images of oil rigs, cowboys and torn jeans. Think again! 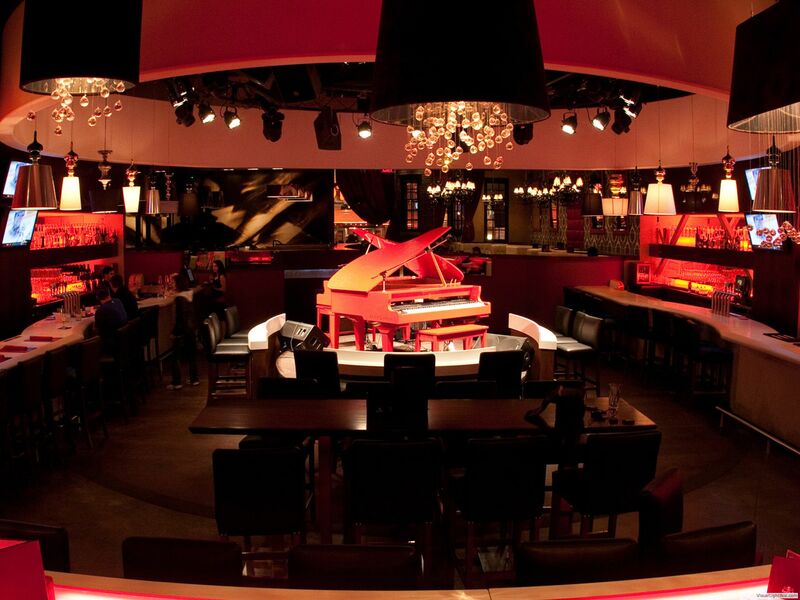 This is a classy joint with chandeliers, leather bar seats and...yes, 2 red baby grand pianos. The stage is set on a circular dais (kind of like Carnaval Cruise piano bars, but with 2) in the very center of this modern and hip bistro. But don't let the fancy surroundings fool you. These guys will ratchet up the night with Bon Jovi, Maroon 5, and all sorts of rock and roll...and yes, you are expected to sing along...loudly. Although there are no drums, exactly, the players here like to use keyboard drums, which we're not a fan of. 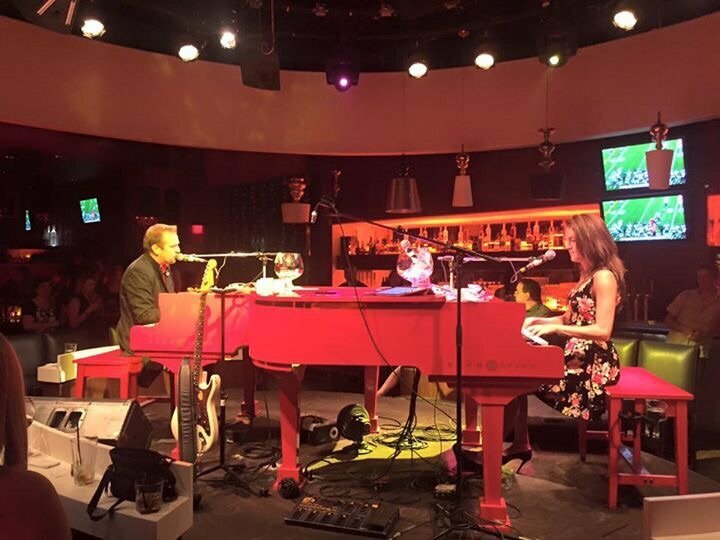 But that minor quibble aside, this place has been providing Alberta with dueling pianos since 2009, and is clearly successful. There is a dress code, and reservations should be made at least 3 weeks in advance (for Fridays and Saturdays) by calling ahead. 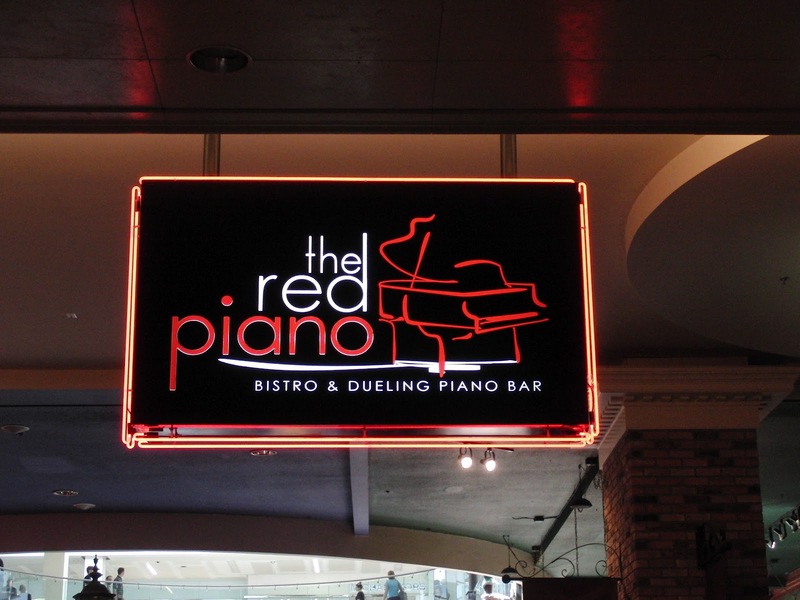 The Red Piano is located inside the West Edmonton Mall. If you have time, arrive early and check out what is billed as the biggest mall in North America and the 10th largest in the world. 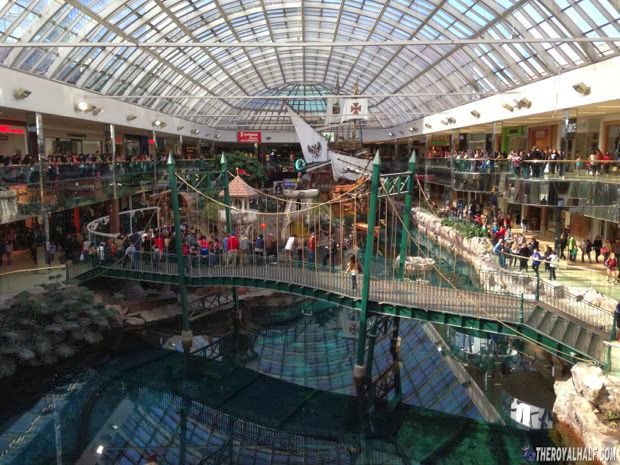 It's got a full water park inside, including a full-sized ship wreck, an indoor shooting range, bungee jumping and ice skating, and is the most exciting mall we've ever seen.